Bring About Timeless Style To Your Home With These Durable Quartz Surfaces From Our Metropolitan Collection! 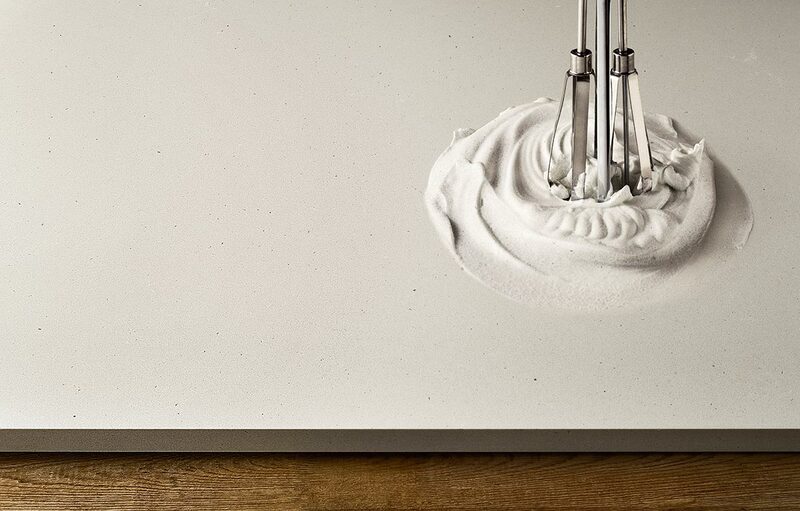 Being one of nature’s strongest materials, quartz surfaces are not only versatile in application but also provides its users with highly durable and stain-resistant qualities. And with the industrial trend gripping the design market of late, Caesarstone is combining the best of both worlds with the latest additions to the Metropolitan collection. An ode to the rough textures and unpolished colours traditionally found in factories and lofts that both consumers and designers have increasingly taken a liking to, the bold new surfaces emulate the authentic look and feel synonymous with these spaces, such as oxidised steel, poured plaster and raw concrete. 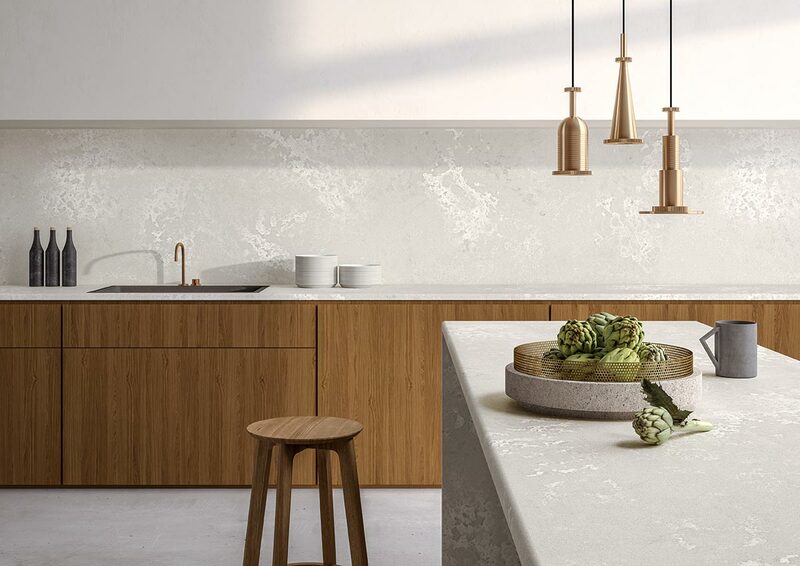 Produced via cutting-edge innovative technology exclusive to Caesarstone, the collection manages to achieve weathered patinas in quartz that users can literally feel and experience – a design breakthrough for the luxury quartz manufacturer. As these unpolished designs reveal organic variations in appearance, the end result is an engaging visual impact that is embedded within each of the offerings, making them an inspiring choice for any surface within a home. Let’s take a closer look at some choice picks from the Metropolitan collection. 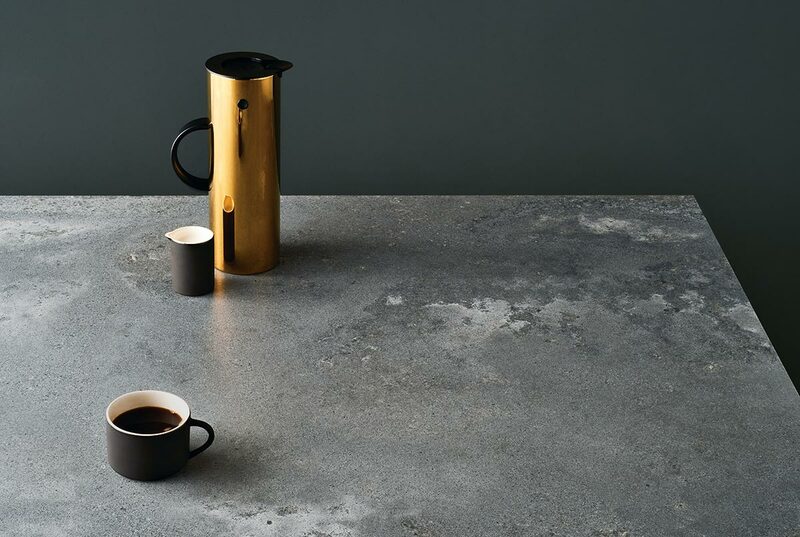 Fully embracing the beauty of imperfection that is the trademark of the industrial design concept, the 4033 Rugged Concrete has a look similar to that of a hand-poured concrete benchtop. Accentuated by textural variations of grey and a white haze patina that is topped off with a rough matte finish, the surface is both robust and handsome, making it a suitable choice for all types of interiors. At first glance, the 4011 Cloudburst Concrete looks just like floating clouds, with soft swells of white against a creamy white base. Delivering a truly unique look, the design’s ‘rough’ low reflective matte surface means that it is able to work brilliantly alongside many varying materials – from stainless steel to light and dark timbers – and also offers a wide usage flexibility, from Scandinavian to the industrial loft design aesthetic. Giving its own fresh spin on the classic pattern, Caesarstone’s 4601 Frozen Terra is a combination of a white concrete slab that is sparsely distributed with glimmers of black basalt and irregular-shaped translucent grey quartz. 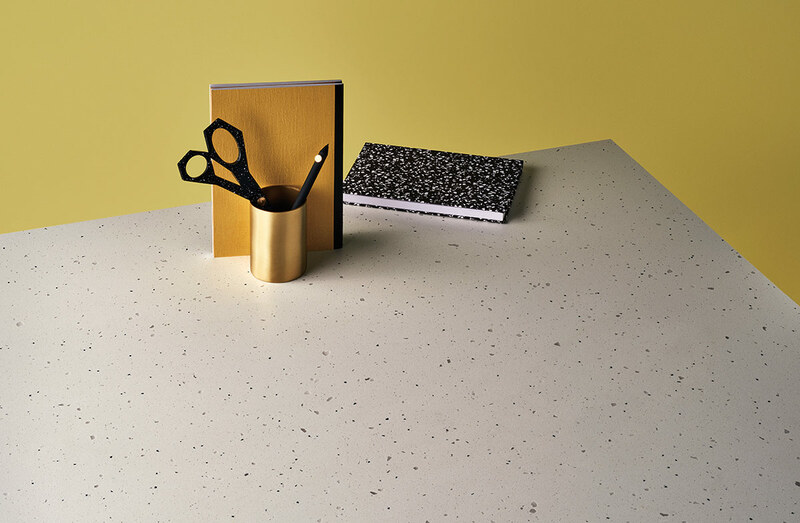 Exuding a fresh and modern look that is underlined by an aura of cheeky playfulness, this surface is the perfect amalgamation of the sturdiness of concrete with the whimsical nature of terrazzo. When it comes to choosing surfaces for your home, you can’t really go wrong with neutral colours. A modern industrial appearance of fine white concrete, the 4001 Fresh Concrete encompasses soft white and light warm grey features that give it a delicate and clean-cut look, in turn making it an elegant and timeless choice for any type of home.